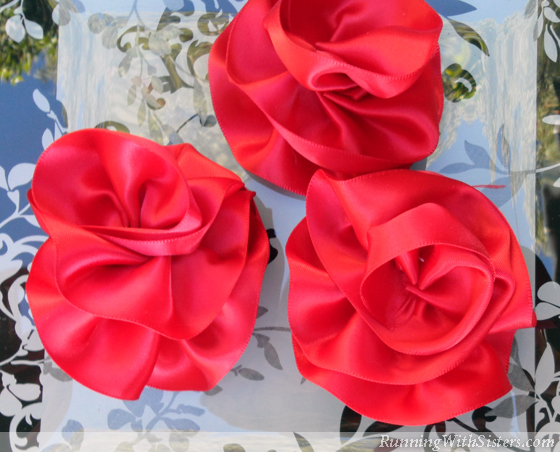 Ribbon roses are so lovely! 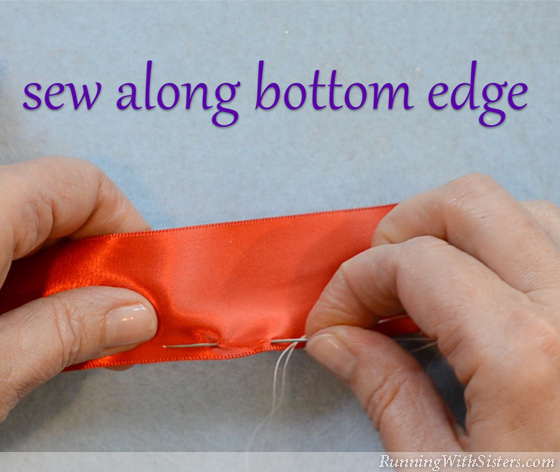 Learn to make one out of a piece of ribbon using just a needle and thread. They make pretty decorations for a wrapped gift or a little girl’s headband. 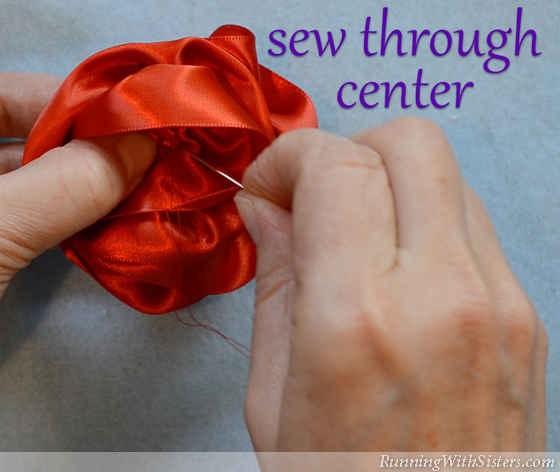 Or finish with a pin back to make a ribbon rose brooch! Follow along with the video, then make your own with the instructions below! 1. 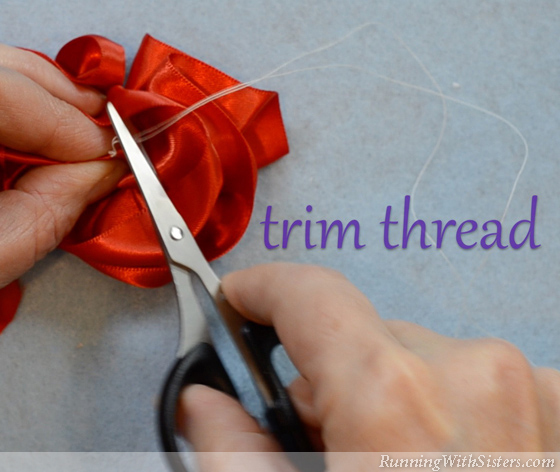 Using a needle and thread, sew a straight stitch across the bottom of the ribbon. 2. 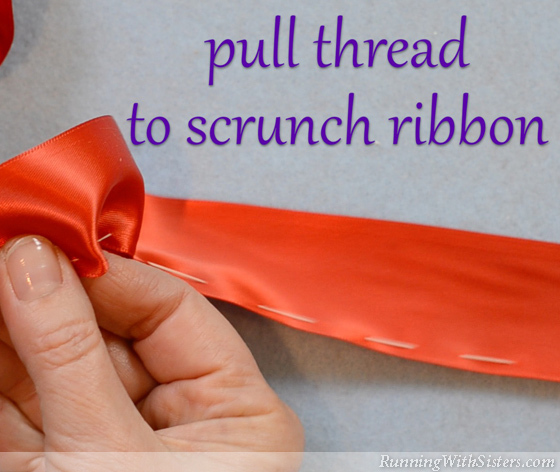 Pull the thread to scrunch up the ribbon. 3. Tie a knot in the end of the thread. 5. 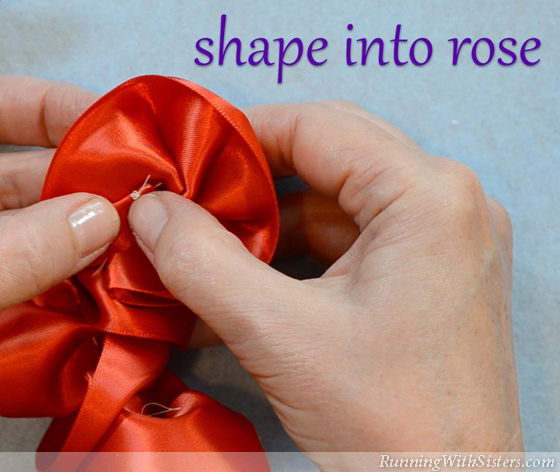 Shape the scrunched ribbon into a spiral rose. 6. 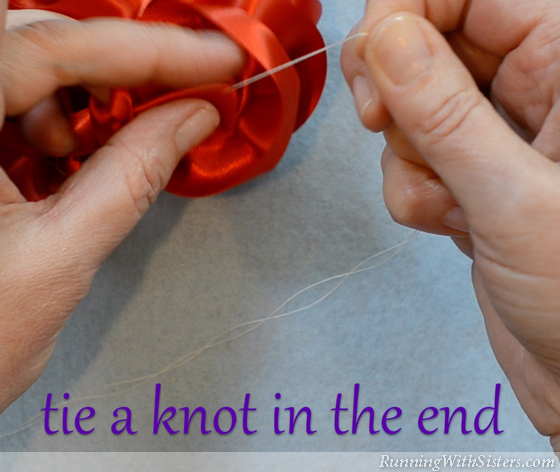 Using a needle and thread, sew across the bottom to secure the rose into the spiral rose shape. 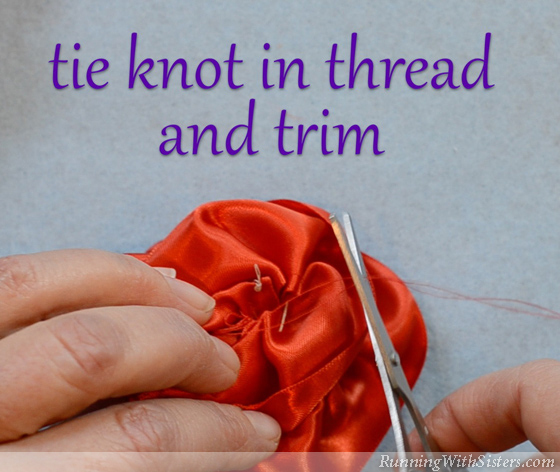 Tie a knot in the end of the thread and trim. Ribbon Roses make pretty bows on packages! Or glue them onto plain sandals to dress them up. 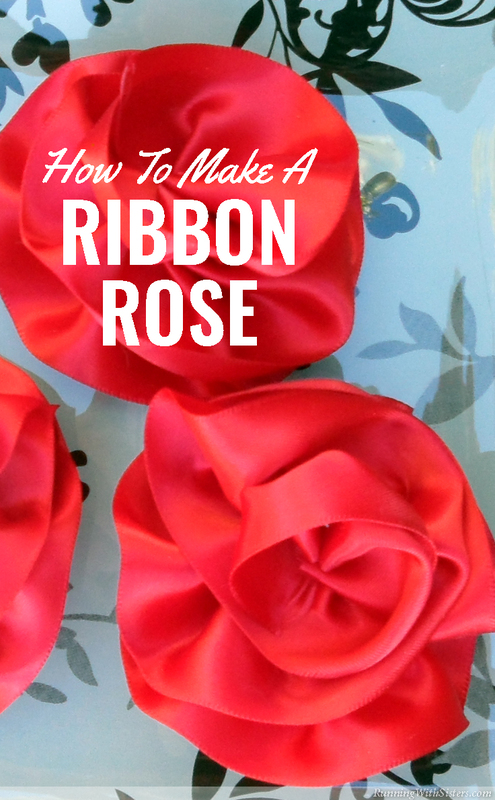 Let us know how you use your ribbon roses! We’d love to hear from you! If you have any questions, just leave us a comment. We’re here to help!